Saint-Malo is a dramatic port town on the northwest coast of France. Wrapped in tall granite walls, it’s protected from the cobalt blue sea. It was once home to 18th-century merchant ships and privateers. Today, it is a city of culture, history, and Romanesque and Gothic architecture. From its outstanding beaches to its plethora of forts to its lavish cathedrals, there is much to see here. 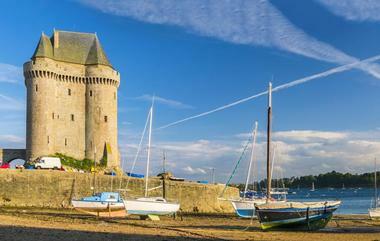 The Bon-Secours Beach sits at the foot of Saint-Malo’s ancient city walls. Considered to be one of the most beautiful beaches in this historic French port, it is a popular place to soak up the sun or stroll along the promenade. Visitors can rent kayaks, swim in the seawater pool, or sip on a cocktail on the terrace at the beachside restaurant. 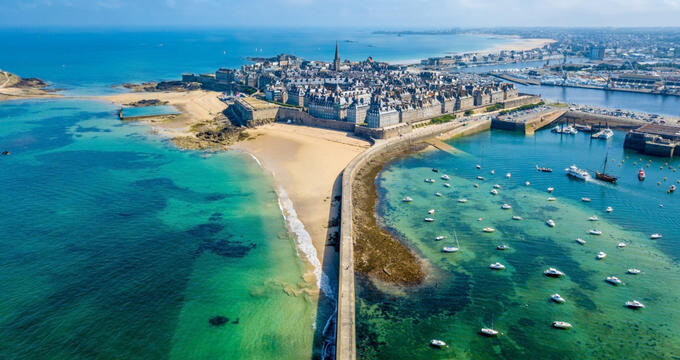 The best way to reach Bon-Secours is to park near the Casino Barrière Saint-Malo and follow the stone wall to the beach, where you will find a magnificent view of the city and the nearby islands. 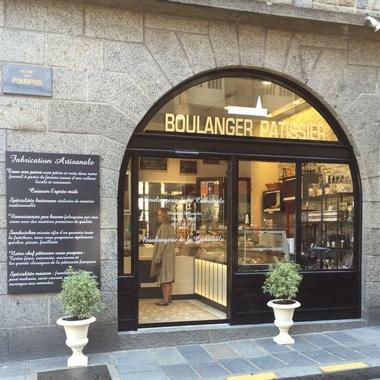 Just steps away from the Saint-Malo Cathedral, this acclaimed French patisserie has a mouth-watering selection of sweet and savory treats. Customers can choose from tarts and tortes beautifully arranged in polished glass cases, macaroons in boxes tied with colorful ribbons, and artfully displayed cakes for holidays and other special occasions. Loaves of freshly baked bread tempt visitors with their golden crusts and enticing aroma. Guests can dine on gourmet salads and sandwiches at one of the small tables in the boulangerie or pair them with an icy cold beverage from the cooler for an impromptu picnic at the beach. 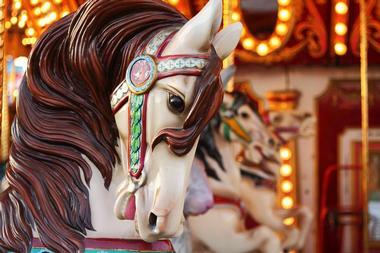 Children of all ages will love this nostalgic carousel. Decorated with scenes from Saint-Malo’s history, this year-round attraction can be found near the main gate to the walled city, known as La Ville Intra-Muros. For only €2.50 per person (or €10 for a pack of five rides), you can go round and round to the cheerful tunes of the calliope. The carousel runs on Wednesdays, Saturdays, and Sundays from 3:00 in the afternoon until 6:00 in the evening during the school year and from 3:00 in the afternoon until 11:00 at night during the summer. 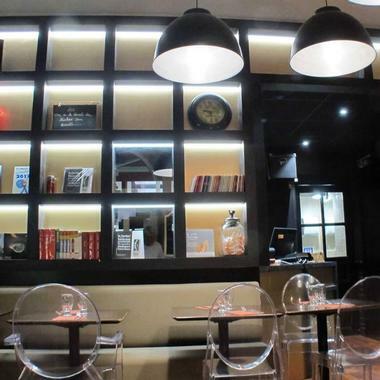 Located in Saint-Malo’s pedestrian zone, this highly rated creperie serves artisanal crepes made with local and regional ingredients. Though best-known for its crepes, Margaux also has sweet and savory galettes, specialty tea and cider, and Nespresso coffee on the menu. Reservations for one of the seats inside or outside on the heated terrace is highly recommended as Margaux is quite popular with locals and tourists alike. The restaurant is open seven days a week during the months of July and August, closed on Tuesdays and Wednesdays the rest of the year, and closed altogether from mid-November until February. A bit less crowded than its neighbors, Plage de l'Eventail is a family-friendly beach located near the entrance to the old city. Parents will appreciate the presence of a certified lifeguard during the summer months as well as easy access to snacks from the vendors along the promenade. Its designation as a smoke-free beach means that little ones can enjoy the healthy seaside air as they romp in the waves and build sand castles on the shore. At low tide it is even possible to walk the few hundred meters over to Fort National for some first-class exploring. 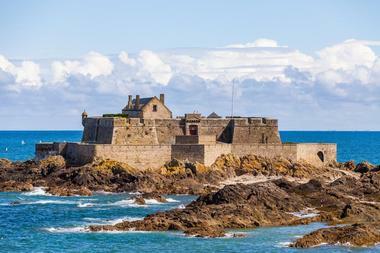 Designed in the 17th century under the direction of King Louis XIV, Fort de la Conchee is part of a string of forts built off the coast of Saint-Malo to keep the English and Dutch from entering France. Centuries later it was demilitarized by the French, but the Germans commandeered it during World War II and it was bombed by the Allies during the liberation of Saint-Malo. This historical monument is currently in the last stages of a multi-year restoration project. Until the restoration is complete, visits to the fort are scheduled only during the annual European Heritage Days at the end of September. Fort National is housed on a tiny island accessible only at low tide. 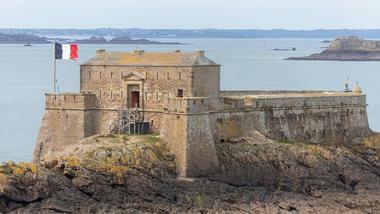 Built by the military architect Vaubun to prevent the invasion of Saint-Malo by the English and Dutch in the 17th century, the fort is open to visitors when the French flag can be seen flying high above the stone walls. Individual explorers and groups can make their way across the sand to the drawbridge where they will meet experienced guides well-versed in the history of the fort. 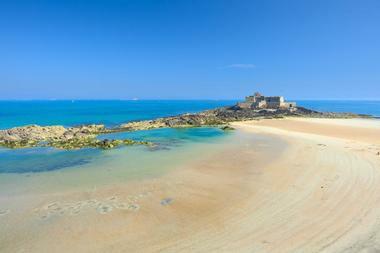 Looking back on the city of Saint-Malo, guests will be treated to a panoramic view of its breathtaking bay. 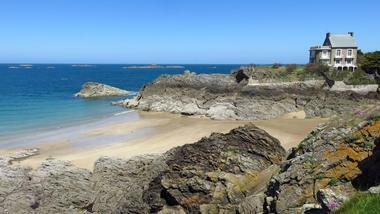 When the tide is low, visitors to Saint-Malo can walk across the beach to this rocky outcrop. Starting from Bon-Secours and following the path to the island, explorers will have the opportunity to see what remains of a fort that was part of a strategic defense system designed by French architect Vaubun. Also of interest is the tomb of Saint-Malo’s native son and the father of French romanticism, Francois Rene de Chateaubriand, which can be found on the western end of the island. By climbing to the top of the rocks, visitors will get a spectacular view of Brittany’s Emerald Coast. 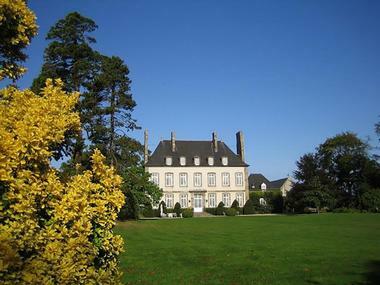 The Grand Parc de la Briantais is a 66-acre estate on the bank of the Rance river. 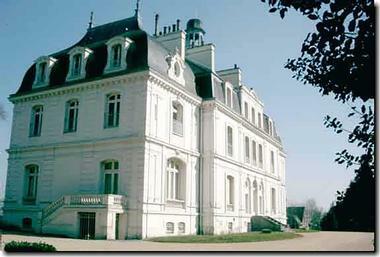 Its landscaped grounds and well-maintained 19th century chateau belongs to the city of Saint-Malo. The grounds are open daily and admission is free to the public. Dogs are welcome as long as they are kept on a leash. The chateau is only open during scheduled events, but the Instagramable exterior is worth the trip even if you don’t get to tour the inside. 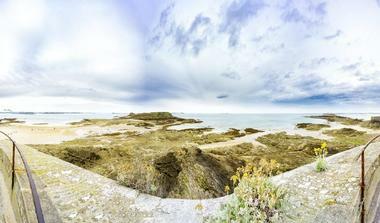 Be sure to walk around the back of the building for a beautiful view of the bay of Saint-Malo. Saint-Malo’s Grand Aquarium has more than 600 species of marine animals in a 43,000 square foot facility on Avenue du General Patton. 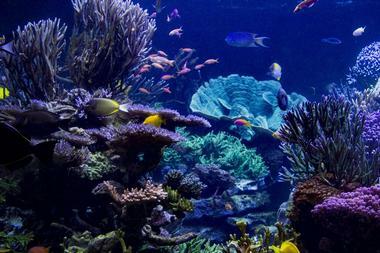 Open since 1996, its kid-friendly attractions include the Nautibus, a small submarine; the Ring of the Seas where you’ll find yourself surrounded by sharks; and the underwater forest of The Mangrove. Visitors can interact with different kinds of sea creatures in the Touch Basin, ponder the role of plankton in the Laboratory of the Sea, and dive into the depths of the ocean in the Abyssal Descender. Ticket prices range from €12 to €16.50 and children under four are free. 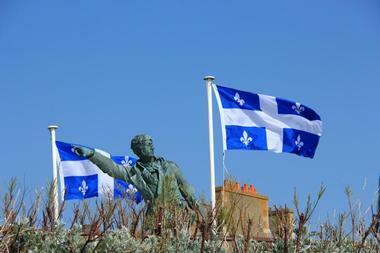 French explorer Jacques Cartier is credited with claiming the land around the Gulf of Saint Lawrence for France and navigating the Saint Lawrence River as far as Montreal. After three arduous cross-Atlantic journeys, he returned to his birthplace of Saint-Malo to settle down at his country estate. His former manor house is now a museum that documents his exploration of eastern Canada. Guided tours for individuals and groups describe Cartier’s voyages to North America and the navigation techniques he used, and give visitors an insight into daily life in Saint-Malo in the 16th century. Scheduled tours are available year-round. 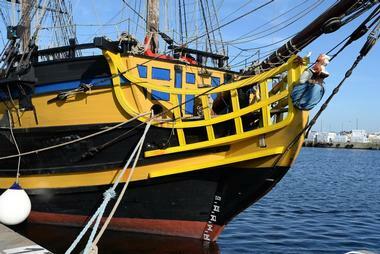 The Étoile du Roy is a replica of a 18th century pirate ship. The ship has been used in several films and television series and is now docked in the waterway along the Quai Duguay-Trouin where it serves as a floating museum. Crossing the gangplank into the hull of the ship, visitors will get an idea of what it was like to live as one of the over 200 crew members who would have lived on board the ship as it sailed the seas. Guests are invited to explore the ship on their own or take part in a guided tour. The government of Quebec gifted this community center to the town of Saint-Malo in 1984 to celebrate the 450th anniversary of Jacques Cartier’s arrival in what is now Canada. Open to the public from May to August every year, the building hosts special events and provides tourist information in English and French. Designed to promote cultural exchanges between the two countries, the programs are sponsored by the Office of the Quebec Government in France and are free to the public. For those who want to learn more about Quebec, the center offers a photography exhibit showcasing the Canadian province and a listening post to hear music from Quebec. 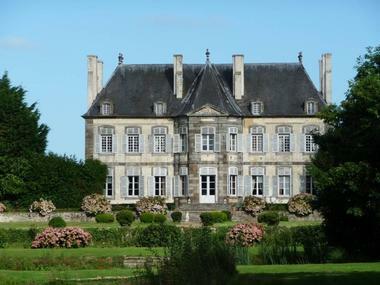 The Malouinière de la Chipaudière is a typical example of large country residences built by wealthy shipowners in the region. Although the manor house is still occupied by descendants of the original owners, visitors can take a guided tour to see some of the rooms on the ground floor and the terraced French gardens. Tours are offered every day except Sunday from July 13 to August 29 at 4:30 p.m. A small fee (€7) is charged that provides for preservation of the property. If it’s only a photo you’re after, you can access the main courtyard on the same days at no cost from 11:30 a.m. to 5:30 p.m.
From early April to the end of September, the Malouiniere de la Ville Bague is open to tourists and local residents who want to learn more about this style of manor house that is unique to the region. The country home of Jean-Baptiste Colbert, founder of the French version of the East India trading company, the estate includes a pond, a dovecote, a small chapel, and a manicured garden in addition to the residence. Guided tours begin at 2:30 and 4:00 p.m. and last approximately 90 minutes. Group visits are possible year-round by appointment only. This permanent collection of the works of French sculptor Pierre Manoli is a true tribute to his talent and creativity. 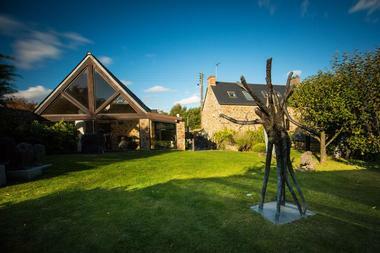 More than four hundred pieces of sculpture are on display in the building itself and in the garden. Guided tours are offered on Thursdays from April to September and group tours can be arranged year-round. If you would rather explore the museum and sculpture garden on your own, audio guides are offered in French and English. Family-friendly educational workshops are held on Wednesdays and Fridays from 2:30 p.m. to 4:00 p.m. for a small additional fee. 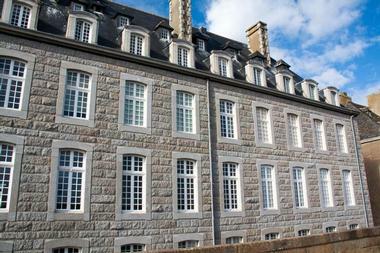 The history of Saint-Malo is on display in this fascinating museum housed in a well-preserved castle. The collections are organized chronologically, so visitors can get a good idea of how the city’s dependence on maritime trade evolved. More than 8,000 pieces are on exhibit including works of art, liturgical objects, mariners’ tools, and historical documents. Guests who climb to the top of the main tower will enjoy a panoramic view of the city and the bay beyond. Unless you are fluent in French, be sure to pick up an English guidebook when you purchase your ticket at the entrance. This commercial fishing museum is dedicated to the history of the quest for cod in the icy waters off the shores of Newfoundland. 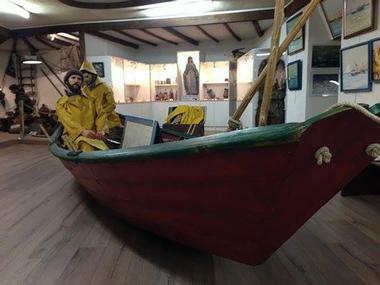 Visitors will learn about the life of Saint-Malo’s fishermen while they stayed on the fishing trawlers and the techniques used by the crew to bring home a sizable catch. 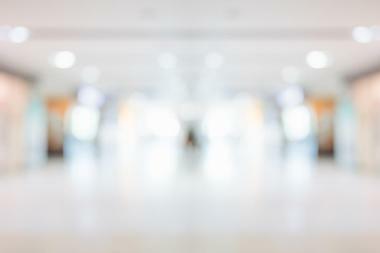 Guests can tour the facility on their own or pay for the services of a knowledgeable guide to enhance their experience. The museum is only open on Wednesdays and Saturdays from 2:00 to 5:00 in the afternoon, but group tours can be arranged outside these times. The trade route that took sailors and their wares around Cape Horn on the southern tip of Africa has long been the source of tales of danger and adventure. This museum, housed in the Solidor Tower, tells the tales of these historic voyages through nautical art and artifacts. Its collections include navigational instruments, model ships, historical documents, and souvenirs that the sailors brought back home with them. Guests can tour the museum daily from April through September, but the doors are closed on Mondays and holidays the rest of the year. Admission is €6 for adults and €3 for children over the age of eight. One of the smaller beaches in Saint-Malo, Nicet Beach is on the northern end of the city in the Rothéneuf neighborhood. Although it is quite near to two other beaches, Plage Varde and Plage Val, each are set in their own private cove that shields them from the wind, offering an ideal environment for swimming and sunbathing. Nicet Beach doesn’t have many of the facilities you can find at some of Saint-Malo’s bigger beaches, but this has the advantage of creating a more peaceful atmosphere perfect for locals and tourists who want to get away from the crowds. 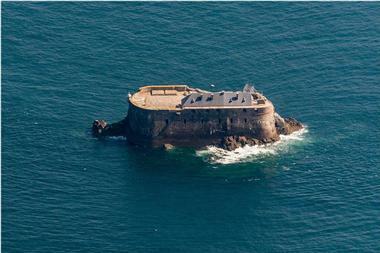 The stone fort on the island of Petit Be has recently been restored and reopened to the public. Tour guides present visitors with a history of the military defense system that the forts provided for the citizens of Saint-Malo. Generally, this historical monument is open between 11:00 a.m. and 6:00 p.m., but prospective guests should look for the French flag flying over the ramparts that indicates that the island can be safely accessed by foot or ferry. A 30-minute guided tour costs €5 for adults and €3 for children over the age of seven. This Roman Catholic cathedral dedicated to Saint Vincent of Sargossa is a French national monument. Restored after suffering damage at the hands of the Germans during World War II, it is a beautiful example of Roman and Gothic architecture. 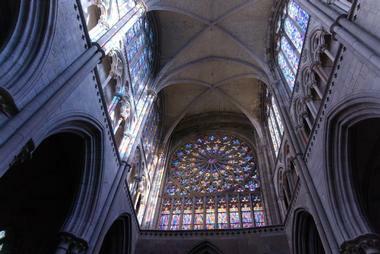 Its stained glass windows depict the religious history of Saint-Malo. Many legends and miracles have been attributed to the 15th century marble statue of the Virgin Mary that sits by the entrance to the sacristy. She is considered the protector of the city and is honored every year on August 15. The church is also the final resting place of French explorer Jacques Cartier. The Cambusier is an award-winning, family-owned restaurant in the heart of Saint-Malo’s old town. Decorated with original black and white photographs of seafarers and fishing trawlers, the restaurant gives customers a glimpse into Saint-Malo’s nautical history. 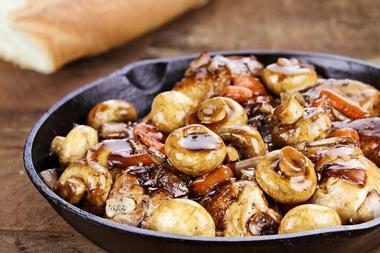 The chef serves traditional French cuisine prepared with fresh local ingredients including, of course, seafood. HIs wife, in addition to being a trained chef, is a sommelier who can recommend the perfect wine to go with any of their mouthwatering main courses. 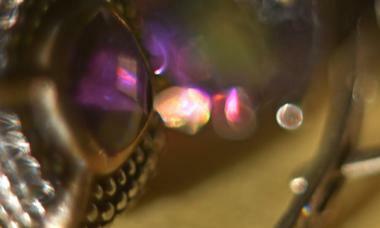 The intimate dining room only seats 40 people, so advance reservations are highly encouraged. Le Cambusier is open seven days a week for lunch and dinner. The Corsair House was built in 1725 for François-Auguste Magon de la Lande, wealthy shipowner, director of the French East India Company, and government-sanctioned corsair. The tour guides mix humor with history for an enjoyable look into the life of a notable French pirate. Unique features of the house include underwater cellars and a hidden staircase. Visitors can also see examples of goods that Magon presumably seized from other ships and a collection of weapons and tools used in his nefarious trade. The doors open to the public at 3:00 p.m. daily (except Mondays) from February through November. 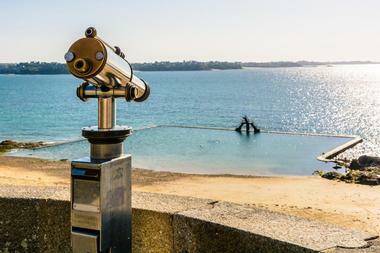 For a truly unique experience while visiting Saint-Malo, tourists can walk straight out to the coast from the Le Bénétin restaurant in the Rothéneuf neighborhood. Here they will find a sculpture garden featuring scenes from the city’s history tucked away along the shoreline. Adolphe-Julien Fouré, a rector who was left deaf and mute after a stroke, retired from the priesthood and returned to his native village, where he spent the next fifteen years creating these remarkable works of art. 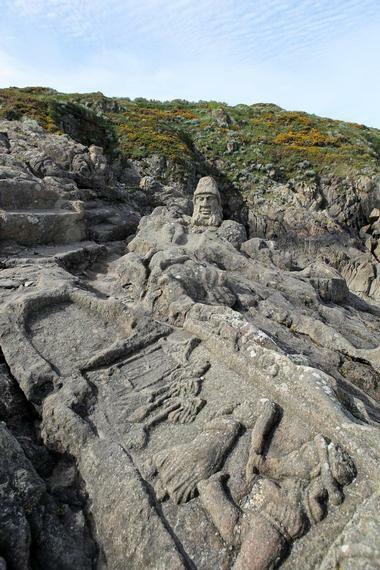 Sea creatures, fisherman, pirates, explorers, and religious figures are among the subjects that he carved into granite and left behind when he died.